Soo results are in ..
~All looks Good. Riley was Negative for any acute rejection or antibody mediated rejection. Due to the specimens obtained though they were not able to screen for any chronic rejection. Krista ran the results by Dr. Goldfarb this morning and he said at this point he would be more worried about the acute and antibody mediated rejection which they were able to rule out. He was very reassured with the results and how Riley’s bronch looked.So far all bacterial and fungal cultures are Negative. EBV was Positive .. which we already knew .. and CMV was Negative. It will take about a month for all cultures to finalize. Today .. as I have for most of Riley’s life .. I went with him into the OR. As always I stayed with Riley until he was sedated .. Today seemed to take so much longer then usual and the entire time Riley was freaking out! He was given the happy juice but he has a pretty high tolerance and mainly because of the PTSD we wait to do the IV until he’s already sedated. Anyway .. my heart just ached for him! This little boy .. my little boy .. in this big bright operating room with at least a half a dozen people and most of them touching him for one reason or another. Being lifted .. 1 . 2 . 3 . Onto another table. A big mask coming towards your face. We tried the letting him smell it or kinda trying to do a blow by to get him a little more loopy but it wasn’t working. Dr Stevens kinda looked at me for approval and then said let’s just do it and we held Riley down while they held the mask on his face until he finally tuckered out and was done fighting it .. us. I hated having to do it but the fighting him or trying to console him was going nowhere. No matter how many times I walk away and tell him it’s Ok .. I never know if what I’m saying is true! 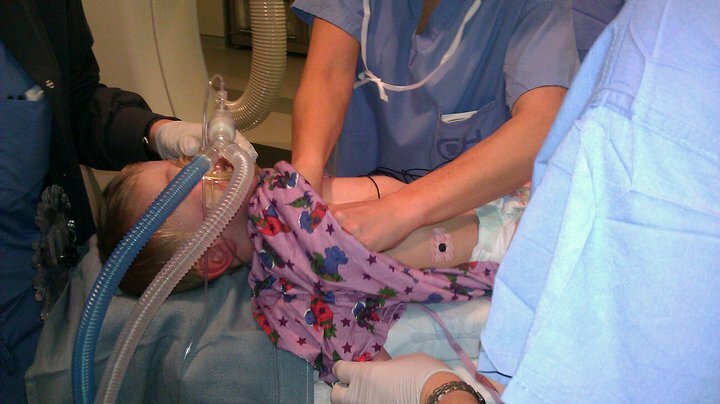 ~ This isn’t picture from today but it is Riley in an OR before a Cath. As you can see there are 3 people that are visible just in the picture that doesn’t include the other people you can’t see. Point? Overwhelming experience to go through especially as a child and repeatedly like it’s just a normal (Extremely Sucky) part of life. Riley is out of the Bronch. Dr Goldfarb said .. His lungs look Beautiful! The secretions in his lower lobes is finally gone! Of course we have to wait for the pathology reports to come back but visually everything looks Great! On a side note .. Dr Rome stopped by to visit while we were waiting in the CPRU. 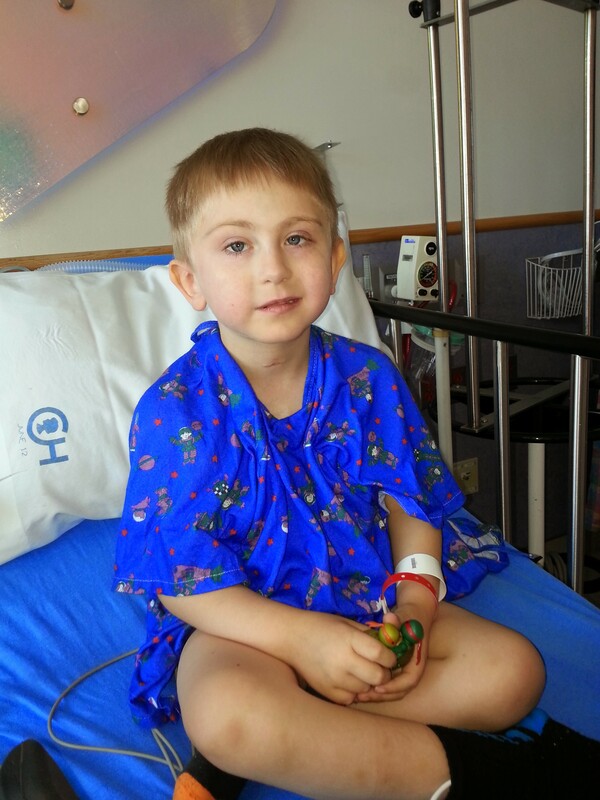 We credit Dr Rome for literally keep Riley alive till transplant. He was our life line! He too was so Happy with how great Riley looks. Taking the words out of my mouth that Riley is Beating the Odds! Every statistic they have thrown out .. Riley has risen above!